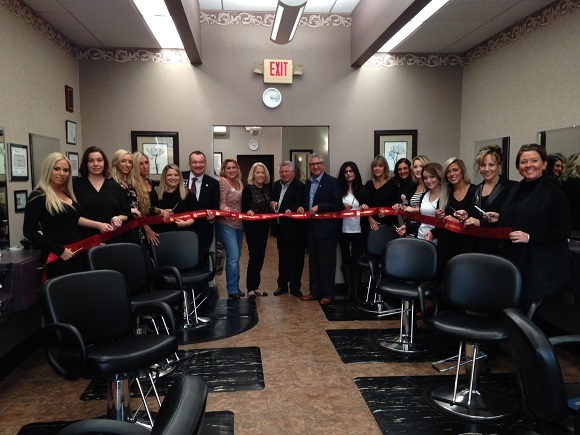 A ribbon cutting was held on October 20th to celebrate 40 years of Success for Hair & Body Essentials Salon and Day Spa. Pam and James Piraino and Assemblyman James Tedisco surrounded by the employees. Hair & Body Essentials is a full service salon and spa for both men and women, offering everything from hair coloring to European facials, foot treatments, massages and mud wraps.